Have you heard of ‘National Ice Cream for Breakfast Day’?! Apparently this falls on the first Saturday in February. 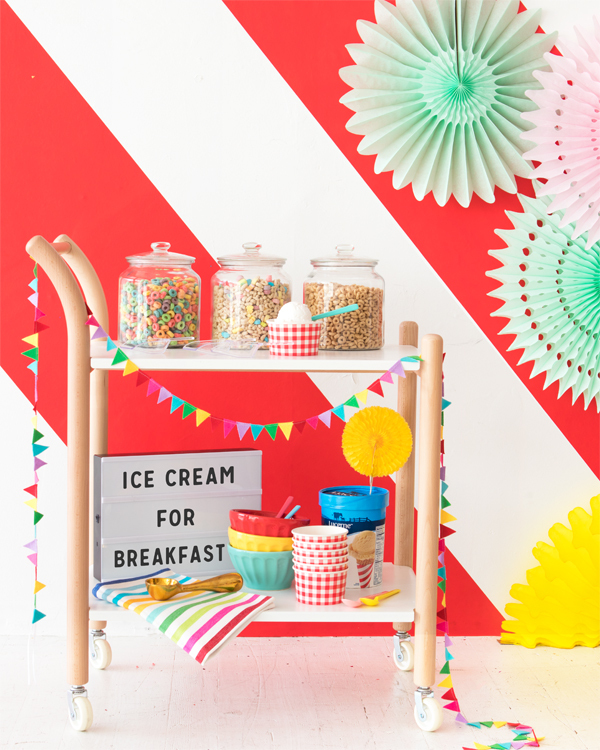 This oddly specific holiday is exactly the excuse I need to execute this fun idea: Host a breakfast party then surprise guests with an ice cream bar! The ice cream basically becomes a fun substitute for milk! 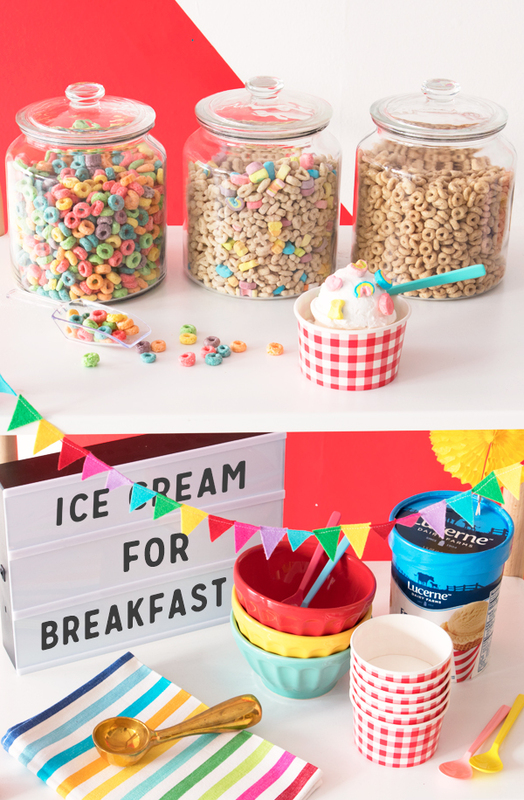 Serve sugary and colorful cereals (all your childhood favorites!) in glass jars for guests to use as toppings. You can also provide fresh fruits, maple syrup and other common breakfast foods as additional toppings! 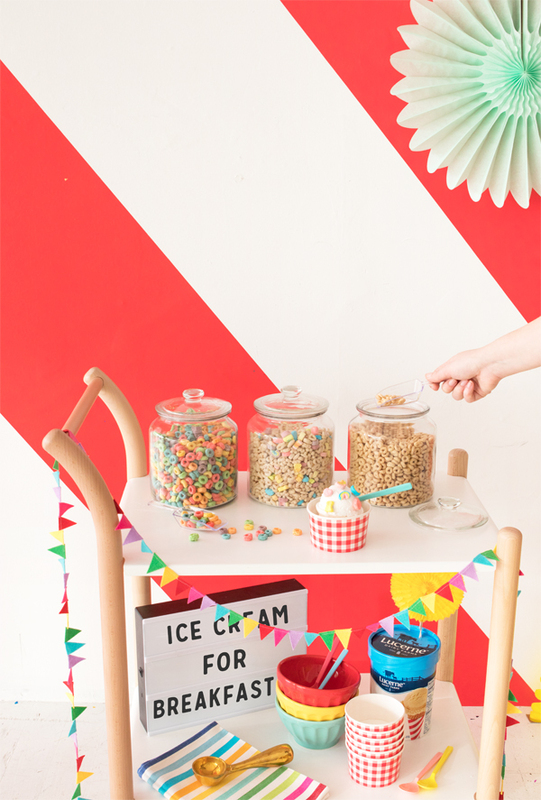 It’s a cute twist on a cereal bar (and a lot more fun!). This looked amazing! Such beautiful pictures too. Using ice cream instead of milk with cereal is probably one of the cutest and most clever ideas I’ve heard! Frozen yoghurt would work great too! Oh my what fun this would be! !